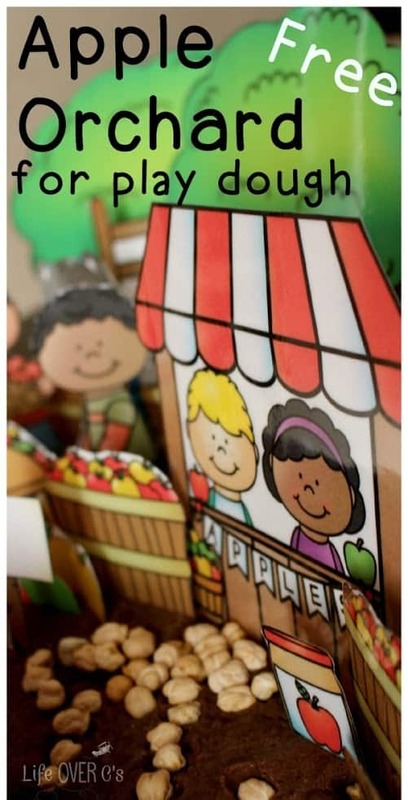 I don’t know about you, but these hot summer days, kind of make me long for fall and trips to the apple orchard. And wishing for fall means wishing for apples, which are very sadly out of season in our markets here. Apples won’t be back until September, but that doesn’t mean that we can’t have apple fun today. 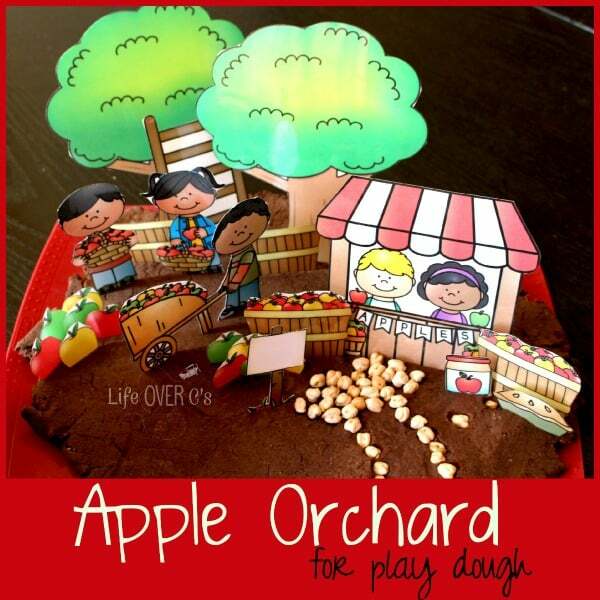 We had a blast with this apple orchard play dough set and I know that you will too! 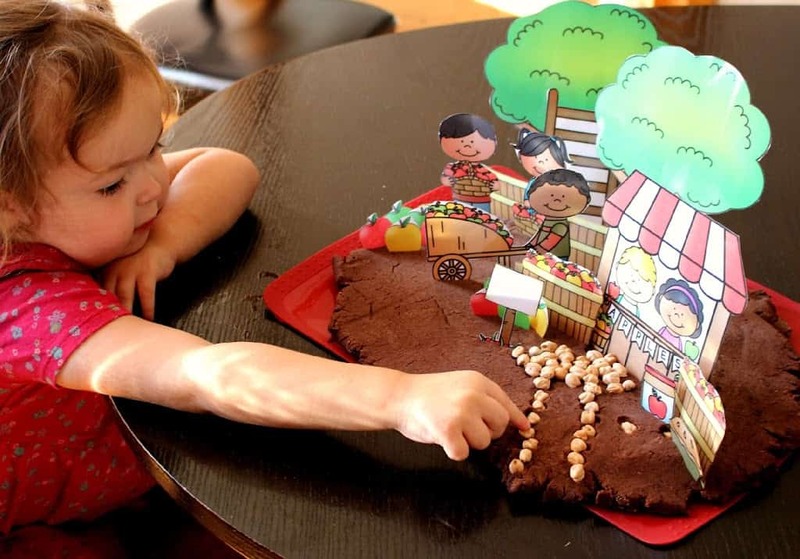 Today, I tried something new and made this Chocolate Play Dough from The Imagination Tree. I wanted something to resemble the dirt that you find as you walk the paths of a real apple orchard. The chocolate play dough worked perfectly! Even better than I thought it would. Not that her things aren’t always amazing, but I gave my mixer away in the process of packing up our home and so I had to make it all by hand & I have weak wrists. This was super easy to do by hand, so I was very pleased! I actually used buckwheat flour because I happened to have a perfectly sized bag of it pop out of hiding today that was a wee bit expired. Okay, so really it was two year expired, but for play dough who really cares? Then, because the buckwheat made it smell a little strange we added a couple drops of peppermint extract. 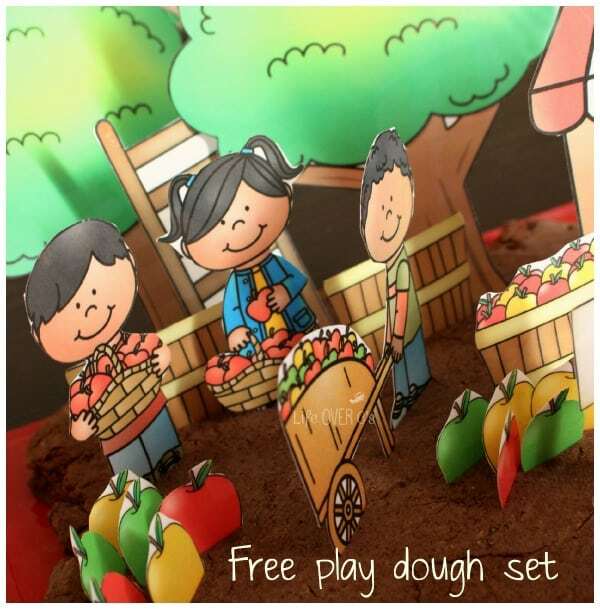 I don’t know if it was the awesome chocolate play dough or this super cute set that I made with clip art from Whimsy Clips, but the kids played with this set for hours! I literally had to drag them away from it so we could take an evening family walk. And as soon as we got home, they dove right back into it. We added some dry chick peas (garbanzo beans) just for fun. They created a ‘gravel’ path to the apple stand. It was so much fun that I even caught a picture of two sisters totally getting along! So I can promise that this is a super fun set. I think that it’s my their favorite play dough set so far! This is such a cute idea. 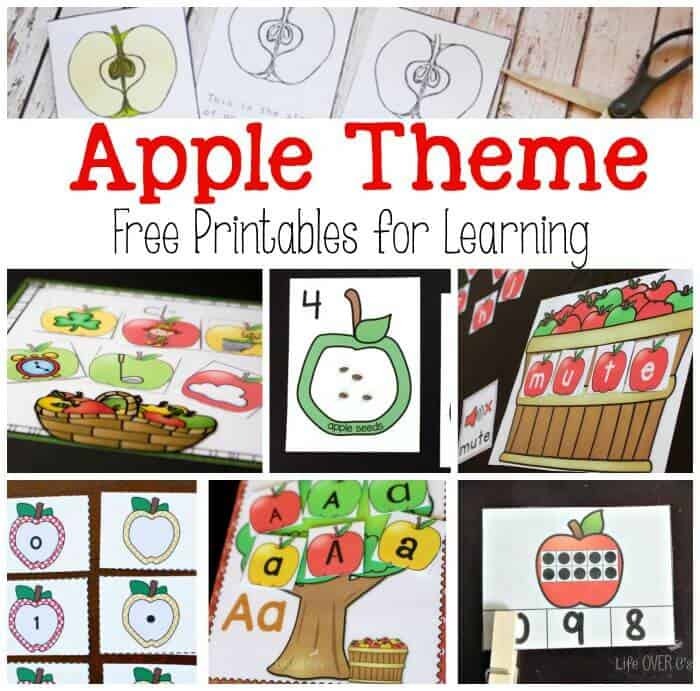 I can’t wait till the end of September (I am in Florida) when we do our apple theme. 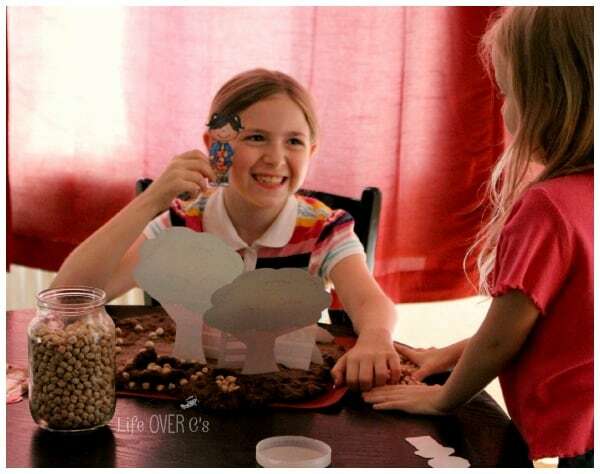 I know I’ll need to make a few of these sets because my little ones are going to LOVE this activity and we will still be working on taking turns! Thanks so much for sharing this amazing set.